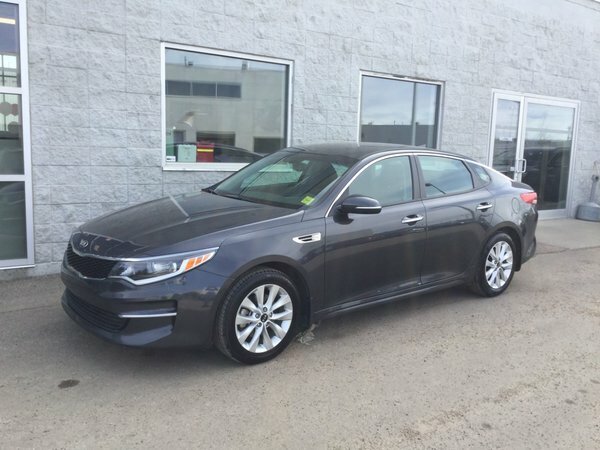 This 2018 KIA OPTIMA LX+ is loaded with: 17" wheels, HEATED seats, POWER DRIVERS SEAT, MEMORY SEAT, HEATED steering wheel, BLINDSPOT DETECTION, TOUCHSCREEN W/BACK UP CAMERA, AM/FM/MP3, PUSH BUTTON start, KEYLESS entry, USB port, POWER windows, POWER locks and lots more! This ALMOST NEW sedan has FULL FACTORY WARRANTY (5yr/100,000KM). 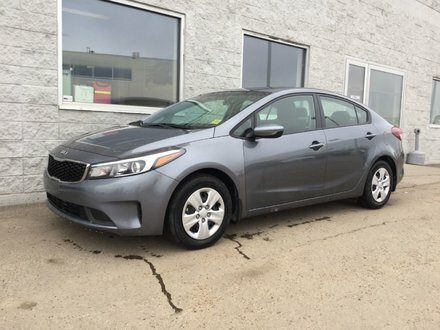 KIA ranked #1 in initial quality by JD POWER, 4 YEARS in a row!! !